We will draw 4 markers to divide this line. 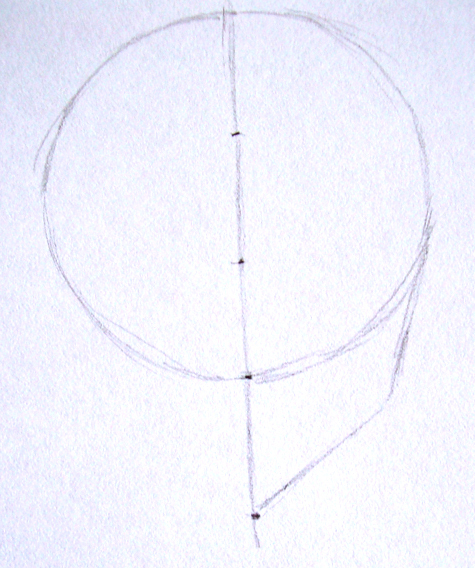 Three markers will be inside the circle while the fourth will mark the end of the chin. 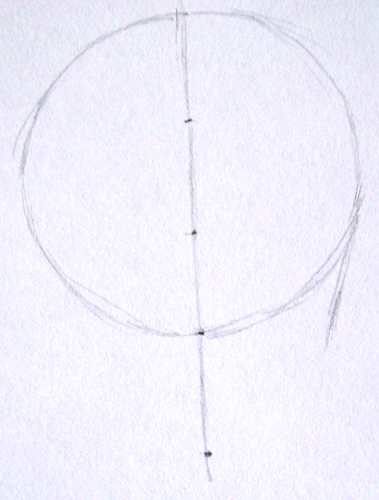 Now, I draw one side of the face ending in a point.